A modern approach to this age-old problem. Let’s pull the covers off of incontinence. Maybe it makes you feel self-conscious. But it’s not a dirty word. And, female incontinence treatment has come a long way. If your life is revolving around frequent bathroom breaks and scoping out the ads on the back of the bathroom door, isn’t it time for a change? 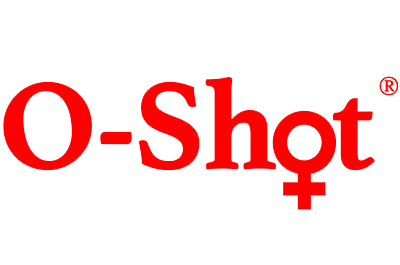 O-Shot® is a revolutionary female incontinence treatment that’s nonsurgical and effective. No surgery. No downtime. Ready to learn more? First, Let’s Take a Closer Look at the Problem. Let’s be honest. We were going through life just fine. And now we pee ourselves. Funny joke? No thanks, no laughs here! Tennis match? Let’s pass. It just starts to rule your life. The constant worry of leaks and having to go. Adding pads and liners to your shopping cart on a regular basis. Ladies, female incontinence is a real problem. And it can be normal. But you don’t have to live with it. There are two main reasons you’re dealing with it. Maybe you think “but I only have one child!” Even one pregnancy can lead to incontinence afterwards for some women. Think about the pressure of 40 weeks of pregnancy on your pelvic muscles. It’s a lot and takes a toll. If you’ve had multiple pregnancies and childbirths, including C-sections, your risk of incontinence is higher. Estrogen levels begin to dip in perimenopause around the age of 40. They’ll stop altogether eventually after menopause. Estrogen is not just important for reproductive stages. It also keeps tissue healthy all over the body. So, bladder and urethra tissue integrity will suffer with less of it. Also, with aging muscle contractions in the bladder become involuntary making you have to go more. Take a look here at actual results in incontinence treatment with O-Shot®. O-Shot® is a Modern Approach to an Age-Old Problem: Female Incontinence Treatment. For Stress Urinary Incontinence (leaks when you laugh, cough, sneeze and more) and Urge Incontinence (needing to go without warning) O-Shot® is the answer. If you’ve looked into your options for getting your life back and steered away, take another look. O-Shot® uses your body’s natural blood platelets to boost cell production and tissue rejuvenation. Right here in the office. No surgery. No downtime. O-Shot® uses Platelet Rich Plasma Therapy which harnesses one of your body’s most potent natural resources, platelet-rich plasma. Known as PRP Therapy this technique is scientifically proven to rejuvenate cell growth at the molecular level. Our plasma contains incredibly rich platelets with robust red blood cells. Redirecting these into areas of the body that require cell rejuvenation to restore healthy functioning is truly a scientific breakthrough helping women with incontinence regain their lives. Right here in the privacy of the office in an outpatient setting, Dr. Pettigrew will use the technique of PRP Therapy to extract your platelets in a sterile environment. Then, they will be injected into the areas affecting your incontinence. The process is safe, painless and sterile. You’ll have no downtime and be able to walk right out of our clinic and back into your active lifestyle with immediate results. If you suffer from Stress Urinary Incontinence or Urge Incontinence you can expect full relief from these conditions with O-Shot®. Although every woman is different with different concerns, expectations and anatomies the results with O-Shot® here at The Rejuvenation Clinic speak for themselves. Women across Savannah and the country rave about the results with O-Shot®. Results last for several months with follow up procedures as needed. Don’t live with incontinence any more. You’re a modern woman. You deserve a modern approach. Call us today for your private consultation to explore what O-Shot® can do for you.